The instrument within is a tool for unlimited transformation, healing and wholeness. Singing has many spiritual, physical, and emotional benefits. By opening and connecting to the voice, you connect to the power, creative energy, and healing sources within yourself! Through movement, chanting, medicine melodies, and understanding the anatomy of the voice, we will explore the healing power and potential of the instrument within. Jess is a Certified Massage Therapist (CAMTC) and Acupressurist and a certified member of the American Bodywork and Massage Professionals association. His work resonates with Eastern bodywork philosophy. This deep pressure, fully clothed massage focuses on the physical manifestation of ailments with understanding a connection exists between the physical body and the mental, emotional and spiritual self. He facilitates, holding a space with a role to support and encourage the highest level of healing, whatever that may be, for the clients he works with.Jess' sessions start with pure essential oils providing aromas that promote relaxation or are energizing and invigorating. Wind and Water style Tui-Na (Chinese Meridian Massage) is a smooth flowing form of Chinese massage. Pressure is always according to the ailment and personal temperament. Tui-Na awakens the body for the deeper Ren Shen session. For those familiar with the Japanese bodywork modality Jin Shin Jyutsu, Ren Shen is a similar style. It combines holding of specific acupressure points with intention for the highest possible healing including Reflexology for a holistic healing approach. Acutonics tuning forks are precisely harmonized to the same hertz as Ohm, Earth and Moon. When placed on acupressure points, they bring the body into alignment with these frequencies. The penetrating vibrations compliment the gentle style of acupressure. As it's not always possible to maintain bodywork as part of an ongoing treatment plan, Jess provides all of his clients with acupoint resources and exercises for ongoing personal self-care. Nimisha is a certified holistic nutritionist, certified Ayurvedic counselor, and certified Yoga Nidra teacher. She holds a B.S. in Psychobiology from UCLA and has years of additional education in clinical research, human biology, gut microbiome, and environmental health. Her work weaves ancient wisdom with modern medicine and it’s highly individualized to meet the needs of her clients. In her private practice, Moon Cycle Nutrition, Nimisha works with teenage girls, fertility, prenatal and postpartum woman, and with chronic gastrointestinal conditions. Nimisha’s work is research-based, intuitive, and from the soul. My 'readings' are shared through intuition and energy, and grounded in love, kindness, and compassion. At the same time, my goal is to provide very practical information that you can implement in every aspect of your lives including relationships, work and money. I believe that we all have the power to create our destiny. I can offer you another view point as to what you are creating in your life - right now - and what you can shift to create what you really want. This work goes beyond mental or emotional states and connects to your soul/higher self and divine/source energy. I am committed to helping you uncover your true self. It takes a lot to free ourselves. I am here to help. Yesenia has worked with people as a spiritual teacher, intuitive reader & life coach for 25 years. She guides others to be not only Seekers but Finders. She is committed to helping you find healing, peace, clarity, empowerment and enlightenment – here and today. Peace and love. I'm Aminah, a bay area based artisan, and the creatress of Celestial Earth Alchemy. The mission of Celestial Earth Alchemy is to create modern day, ancient tools to aid in the grounding, ascension, and protection of humans in this time. I combine the beautiful and powerful metal, copper with other earth elements including gemstones, branches, and feathers. Copper is an energy/electric conductor, meaning it moves and directs electricity and when combined with other earth elements, it enhances the energy. Thus, combining this powerful metal with gemstones and then with the human body, creates a powerful elixir of electricity and force field of energy. I handcraft adornments for men and women, shamanic and healing scepters and walking staffs, copper healing wands, large copper ankhs, and some home decor pieces. Everything that I create is made with love, and the intention to be healing and activating for whomever it is made for. Everything I bring down from the ether is channeled through me by my ancestors in order to do my part to aid in the healing, ascension, and grounding to Earth, of my fellow humans today. Interacting with the tools handcrafted with Celestial Earth Alchemy yields protection, grounding, aura enhancement, and healing of your physical and spiritual body. I am also a mama to a beautiful baby girl and a budding singer/songwriter. I work with the modalities of Biofield Tuning, Metatronia Therapy and Usui Reiki and also incorporate flower essences and crystals/stones. I was first drawn to working with subtle energy in 2001 through experiencing the deep nurturing power of Reiki. That same year, I had a profound shift through the power of sound that propelled me on a journey that continues today. I love working and connecting with others through my hands. Through these modalities, I hope to help you find physical and emotional resiliency and the capacity to affect positive change in your life. Sessions are held in-person in San Francisco. Distance sessions may also be available. Ankke Orryn is an integrative nutrition therapist, medical intuitive, spiritual medium/channel, and an empathic energy healer and counselor; a natural health advocate based in whole foods nutrition and nourishment, a family/systemic constellations facilitator, and a teacher of embodied contemplative movement practices and meditation. She also performs as a dancer and actor from time to time. Ankke holds a BA in Dance and Movement Studies from Naropa University and a certificate in Integrative Clinical Nutrition Therapy from Seven Bowls School of Nutrition, Nourishment, and Healing where she studied western, eastern, functional, and plant medicine rooted in the psychology of nourishment, as well as herbalism, energy healing, and shamanic practices. Since then, she has been diligently studying and developing her innate abilities as a psychic, medium, channel, and medical intuitive, and will be completing a 200 hour yoga teacher training mid-May of 2018. Jonas Blume practices and teaches biodynamic craniosacral therapy and energy medicine. He applies a gentle touch so that his clients can track sensations within their own systems, all the while listening intently to both what his clients and their systems present. His background in Energy Medicine and Reiki also enable him work with chakra and field energetics to better serve his clients. Craniosacral Therapy provides, relaxation, pain relief, clarity, embodiment, health, focus, balance, and comfort, in addition to a number of ailements. Emily Leahy is a certified healer, teacher, guide and celtic shaman in an authentic mystery school. She is passionate about individual empowerment for collective impact. 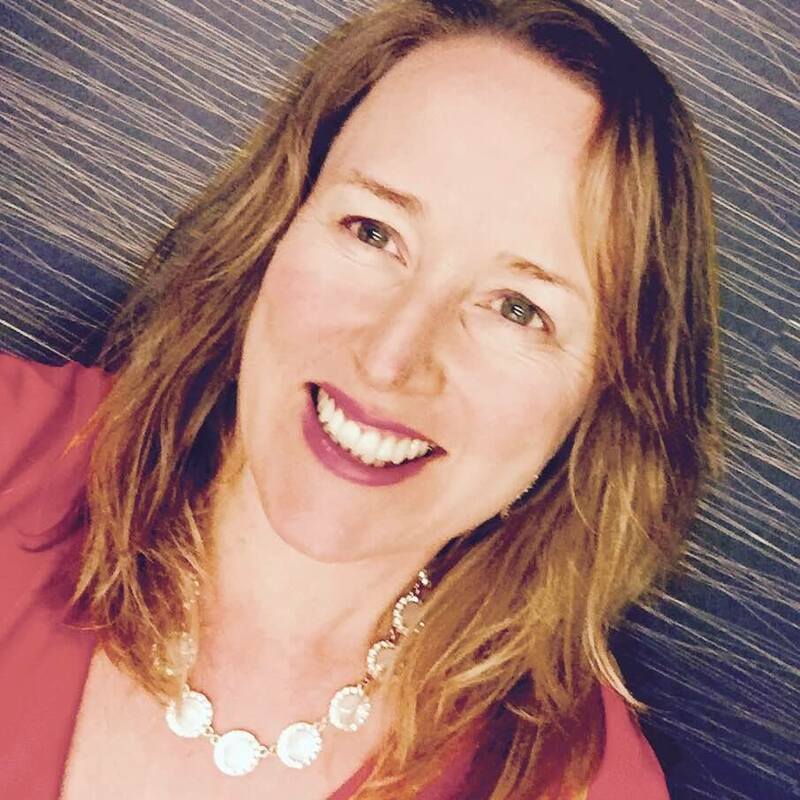 Emily supports leaders (entrepreneurs, parents, educators, innovators and healers), who want to create change in the world by navigating their own healing journey. Are you tired of feeling overloaded, fatigued and scattered? The biggest lies we have accepted in our society is that we accomplish under pressure and achieve by never feeling we’re enough. Let’s put an end to romanticizing busyness and reframe the hustle. It’s possible to have alignment and balance without sacrificing results. The deeper reason why we humans struggle with cycles of burnout. How to re-spark the fire within and discover meaningful long-term success. Compassionate, playful, & intuitive, Drew integrates experiential practices that include mind-body connection, self-exploration, loving compassion, & always, a dash of magic. Her playful spirit shines bright, inspiring others to connect with their hearts & turn on their inner light. Drew intuitively guides individuals to experience the inherent magic that lives within, so they can access and embody their full sense of power and self expression. She holds her M.A. in Integrative Health Studies, is a Certified Journey Meditation Teacher, and National Board Certified Health and Wellness Coach. Booka Alon, CNC is a Certified Nutrition Consultant and Functional Medical Health Coach based in the Bay Area. Her focus is on women's health, weight-loss and mood disorders. Eating to Energize! - Foods that will rev up your metabolism, boost your energy and balance your moods! Eating to Energize! Learn about the food combinations that will rev up your metabolism, boost your energy and balance your moods! With Booka Alon, Certified Nutrition Consultant and Functional Medical Health Coach. Her focus is on skin health, hormone balance, eating for optimal mood and energy. Alexandra R. Johnson, MD, has been studying and teaching Breema bodywork internationally for over 15 years, and has found this approach invaluable in working with any condition of the mind, body and feelings. Trained as a family doctor, she integrates Breema bodywork, hypnosis and diet with Functional and Western approaches, to create a personalized plan for each patient. Her work focuses not only on improving immediate symptoms of illness, but on developing a connection to the body that supports insight into how our unconscious conditioning affects our health. This catalyzes a profound process of personal growth and healing. Dr. Johnson has used Breema‘s universal principles extensively in both prenatal care and labor to cultivate an open, nurturing environment in which great transformation can take place. She is a staff instructor at The Breema Center, and has an integrative medical practice in Oakland, CA. Loriel’s acclaimed sound meditation (sound bath) events bring harmony to the body, mind and spirit. Each event is a multi-faceted journey with instruments and soundscapes that guide you to greater self-connection, well-being and vitality. 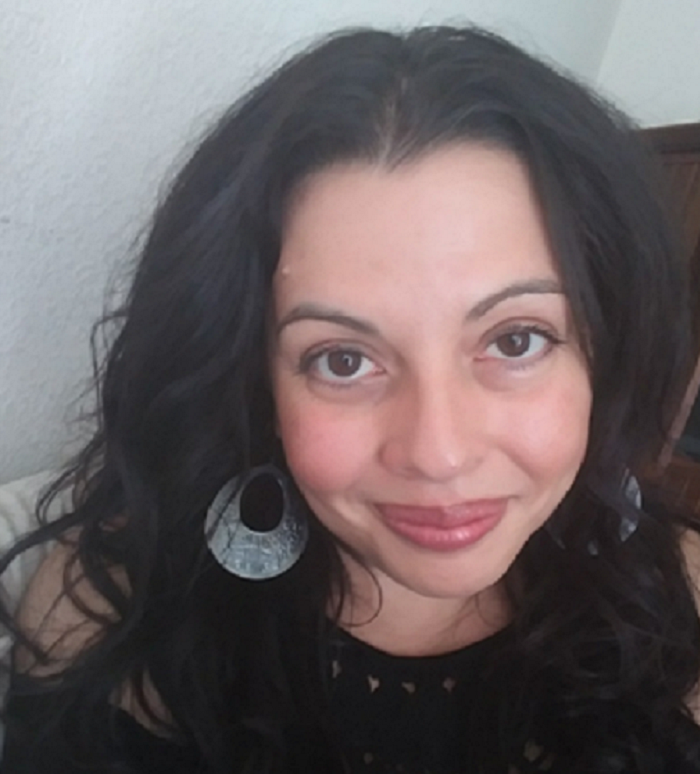 Loriel is a certified Sound Healing Practitioner through the California Institute of Integral Studies and has over 18 years of experience in the healing arts. Loriel’s work is inspired by the desire to share the healing and transformative power of sound meditation for all to enjoy. Dr. Leigh works in partnership with her clients, by supporting them where they are and helping to identify patterns that are holding them back. Instead of a temporary 'quick fix', she utilizes illuminating methods of self-discovery to help clients meet their own health and wellness needs to promote lasting change. She is also known to integrate essential oils, gem essence, reiki, guided visualization, and transpersonal methods of self-discovery in her sessions. Are you finding it hard to cope with, or explain 'invisible illness' to your family or friends? Are you feeling overwhelmed living with a complex chronic condition? Do you want to decrease the amount of pain you are in? Are you finding it hard to know what kind of questions you ask your doctor? Or are feeling disempowered when you do ask questions? Has your doctor told you to make changes to your diet or lifestyle and you are unsure how to do so? Carol Whitney is a master practitioner and teacher of Pranashakthi Mahavidya, an ancient energetic modality from India which utilizes infinite dimensions and connection to cosmic consciousness/source energy to remove suffering in all its forms. This type of healing rapidly changes physical and mental imbalances. Carol is highly claire-sentient, has knowing, and can sense intuitively how to specifically identify how to help a person or animal, based on the Divine guidance received. She has the ability to hold space at a deep level for peace, unconditional love and transformation. Devotion, trust, surrender, faith, and understanding are all elements that work to create the vibrational environment for a person to shift to wellness or to just feel lighter. She works with crystals, can call in dolphin energies via animal communication and uses sacred geometry as well as many other techniques. In one-on-one Yoga Therapy sessions, Rachel infuses a personalized blend of gentle movement, posture, breathing, meditation, coaching, and Ayurveda to help you release tension, improve strength and balance, and increase vitality. How we breathe is important. Breath directly affects our health and energy, as well as how we show up with ourselves and what matters most. When we’re clear and attentive, we bring this presence to work, relationship and community. During the 2108 Holistic Health Saloon, Rachel will offer one-on-one assessment and breath skills training that can shift your mood and energy. Help focus your mind, to encourage your body to relax, and to rebalance your being. You’ll leave with do-able yet potent skills for better breathing. Rachel Lanzerotti, MSW, e500-RYT, C-IAYT, is a Body Systems Yoga Therapist in private practice. 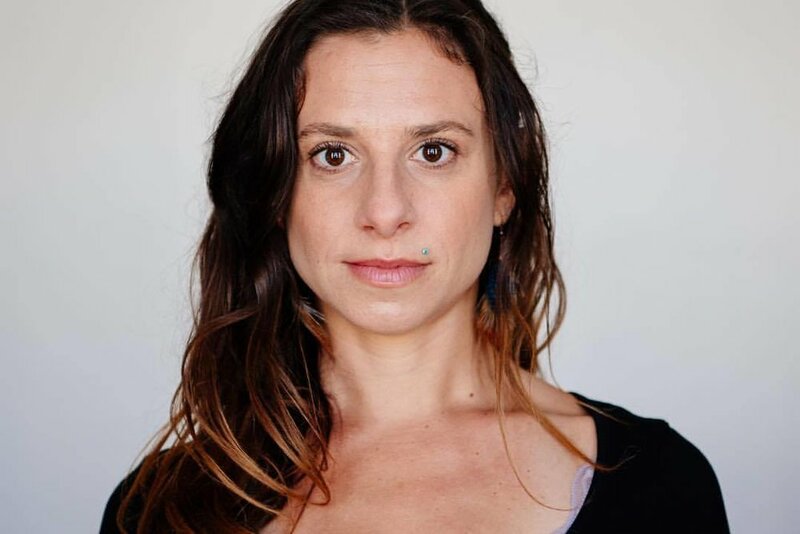 She is the Founder of Five Rivers Yoga Therapy and the San Francisco Yoga Therapy Collaborative. A dedicated practitioner and educator for over two decades, she is a certified yoga therapist, meditation guide and yoga teacher, counselor, health educator and specialist in nourishing practices for stress and pain relief. Suzanne Astar is a weaver of the physical and energetic. She explores the paradigm of how beliefs and body awareness creates posture, movement and consciousness. Her sessions release structural tension and energetic blockages to integrate our past and future selves, so we can ground and expand in the present. She teaches and guides in San Francisco at the Center SF and Verve Chiropratic. It is my belief that the mind, body, and spirit are all connected and for true health and wellness one must work with all of these aspects of the self. I have found the practices of yoga and movement in my own life to be monumental in this process. Yoga therapy is a holistic approach to healing that works with the individual client utilizing yoga philosophy and practices to guide them into gaining awareness, insight, and integration of their thoughts, beliefs, actions, and desires. Specific asanas (poses), pranayama practices (breath work), meditations and relaxation techniques, as well as energy work are explored, taught, and practiced to suit the needs of the client in healing on all levels. Yoga therapy has been shown to be extremely effective for reducing anxiety, depression, and stress as well as working with PTSD and trauma. Yoga therapy is also a great resource for those struggling with self-esteem, body image issues, and substance abuse as well as those wanting to build physical strength, increase energy, and implement a healthier lifestyle. The aim of yoga therapy is to bring the client into alignment with their true self. Coming from a lifelong background in dance and a family of artists and musicians, I have always found movement and creative expression to be a vital part of emotional work and healing. In my studies and work in the mental health field for over 10 years, I have witnessed first hand how yoga and other practices that incorporate the whole being provide much more than just temporary symptom relief. These practices foster a deep a true understanding of your process to stimulate healing, helping you to move forward with strength, resiliency, and trust in yourselves to make healthy life choices, becoming more skillfully adept in your thoughts and reactions to life's challenges. In classes and private sessions with me I work collaboratively with you, helping to guide you in mindfulness practices, meditations, and movement flows that tap into multiple facets of what it means to be human. My aim is to bring you into deeper connection to your truest self by providing you with the tools to strengthen your abilities to discern, adapt, reflect, and soothe all of the facets of yourself; working with and moving through your fears and insecurities into a place of strength and resiliency. I do this through a blend of Eastern and Western philosophies and wellness practices that work with the psyche, the body, and energy. Find out how tapping can change your life. We will spend the workshop, tapping away blocks to new beginnings, setting intentions and visualizing. This will be a powerful way to get focused, release blocks and tap into magic in your biz and life.